An ideal present for a new baby. 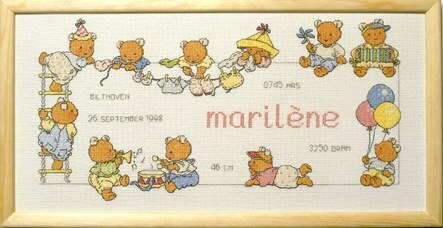 This pretty nursery sampler from the Happy Friends range has all the birth details, name, date, time, place, size and weight and with lots of teddy bears. This kit contains white Aida fabric, DMC threads, a needle, chart and full instructions.